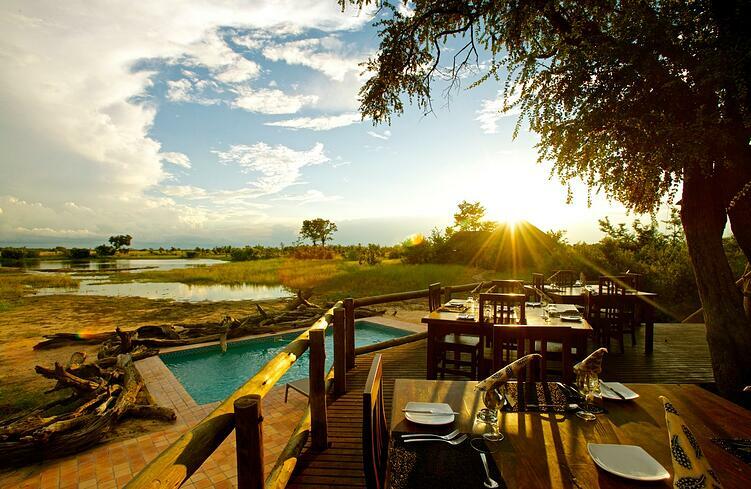 Why we like Imvelo Safari Lodges? Imvelo offers a unique symbiotic relationship between conservation, responsible tourism and opportunity for local communities to grow. The promotion of conserving local wildlife and natural resources while encouraging sustainability for the village communities brings a significantly more in-depth experience for the responsible safari enthusiast. With 6 locations throughout Zimbabwe, the program has taken a strong foothold in the community and is a showpiece for how a successful community based eco-tourism project works. The result is apparent when visiting as you can expect to be pampered at exciting lodges by friendly and welcoming staff. The experienced guides show you a unique experience getting you involved fist handed and show that it does make a difference to the wildlife and local people’s life, sharing the passion of connecting people with nature. What is unique about the lodges? Imvelo Safari Lodges showcases the massive Elephant population of Zimbabwe (over 40,000) with the Elephant Express. The Elephant Express is a refurbished rail car opened in 2014 and is a fun alternative to a regular road transfer between Ngamo and Impofu. The rail cars are roomy with comfortable seating and include snacks and beverages making for a relaxing and scenic 2 hour ride through the bush with sightings of elephant, kudu and wildebeest to name a few. The underground blind at Stoffie's Pan is a one of a kind experience giving you front row seats with a new perspective of elephants refreshing themselves at a popular watering hole. The blind is a 25' shipping container, camouflaged as a termite mound and buried at water level under an ancient Mitswiri Tree. It has comfortable seating, snacks and a bathroom so you don't have to leave when the game viewing is great. Each of the 6 individual lodges are located and designed to showcase the unique natural surrounding they are set in. 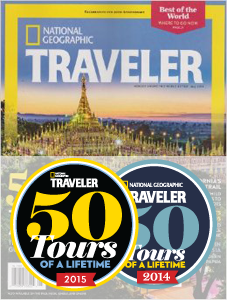 The locations have been meticulously selected and curated to offer the optimum safari experience, exceptional views and connection with the unique landscapes and cultures found within Zimbabwe. 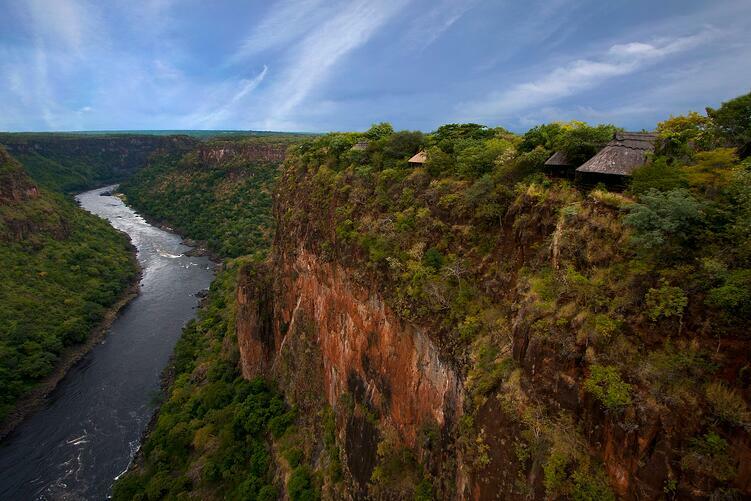 Gorges Lodge & Little Gorges Tented Lodge - offers a unique experience and some of the best views of Victoria Falls combined with a tranquil location on the edge of the Batoka Gorge. Two Verreuax Eagles have roosted close to the lodge and the gorge is home to a wide variety of birds of prey as well as a conservancy to protect them. Home to 10 thatch chalets and 5 luxury tents on wooden decks located in landscaped gardens and each have en suite bathroom, overhead fans, stocked mini bar and tea and coffee making facilities. Bomani Tented Lodge - Overlooking the Bomani Pan, the main lodge is home to an open dining room, bar area and lounge built on a spectacular viewing platform. 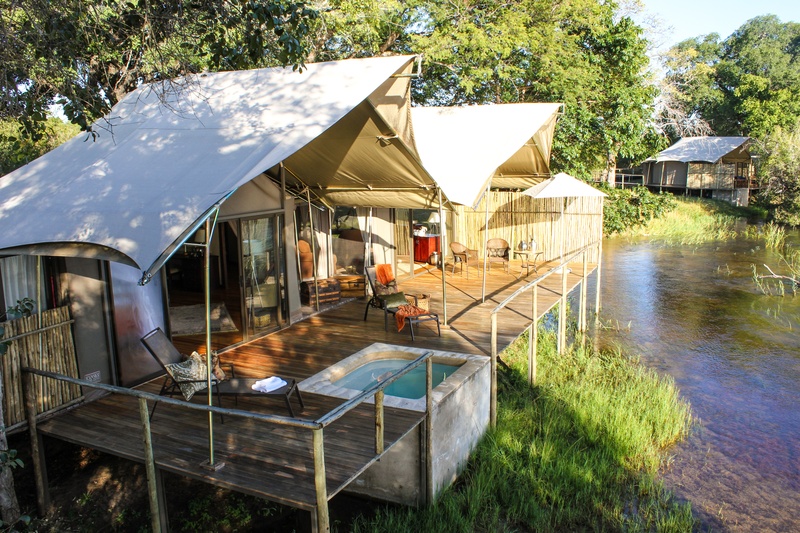 The 9 luxury tents overlook the Ngamo Plain or have front row viewing of the local waterhole. Every tent is comfortably furnished and have a en-suite bathroom, hot running water and electricity by diesel/solar generator. Friendly and knowledgeable guides will take you on walks and drives into this truly wild and remote region of Hwange National Park. Camelthorn Lodge - Enjoy an al fresco dining under a camelthorn tree in the cool acacia woodlands on the southern Edge of Ngamo’s famous plains. The lodge’s centerpiece is a ancient Camelthorn tree that spans the 35 meter outdoor dining area. Escape the heat in the hot months in one of 8 luxuriously furnished forest villas overlooking one of the last remaining and well protected unspoiled acacia woodlands in the world. 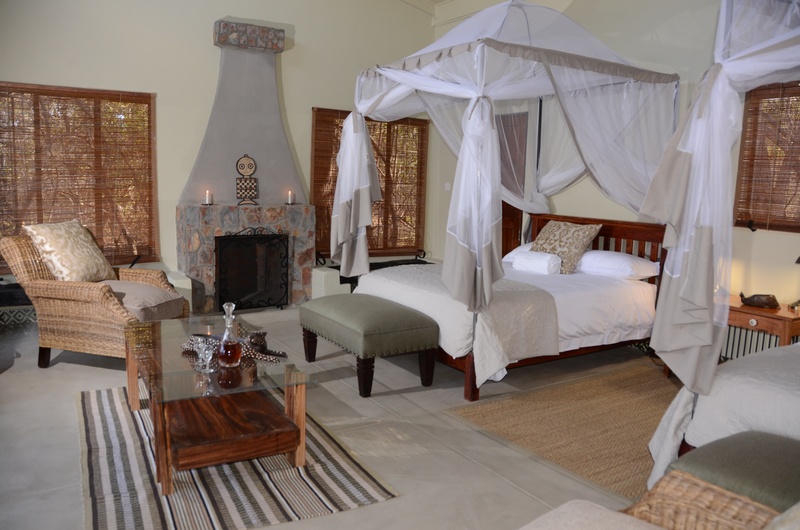 Each villa has a private en-suite bathroom (with windows overlooking the woodlands), large shower, fireplace, private deck and upstairs maisonette with hammock and daybed. A short distance away, within the Hwange National park, is a underground blind located in front of a local waterhole and brings you within 25 feet of Hwenge’s giant elephants. 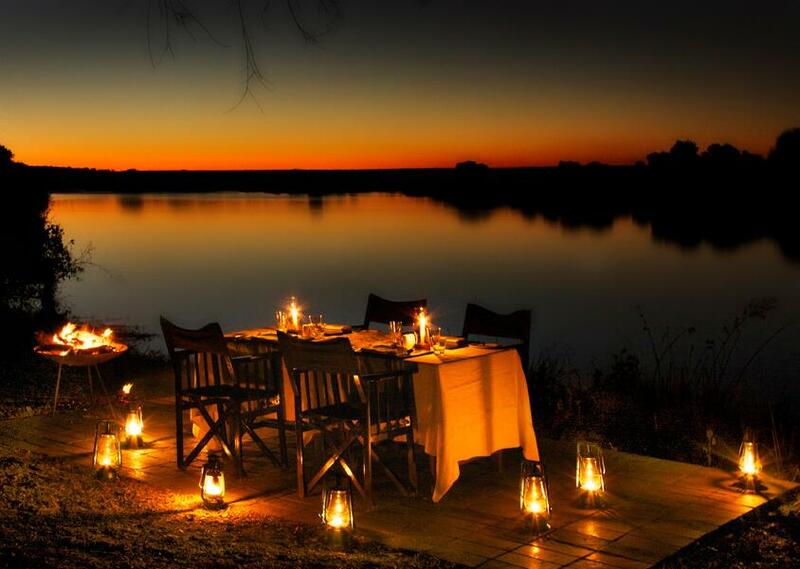 Zambezi Sands River Camp - Located on the banks of the Zambezi River, enjoy a stunning backdrop of the river whilst dining under the stars or embark on a river adventure via inflatable canoe or motorized boat. The main lodge and 8 private Bedouin style tents are built on raised platforms along the banks of the river offering a tranquil and quiet location to unwind after a long day’s game drive. Each private Bedouin tent includes a lounge area, mini bar, en-suite bathroom, outdoor shower, private splash pool and private sun decks. The relaxed nature of the Zambezi Sands River Camp is an ideal option at the end of any trip to Zimbabwe offering a combination of tranquility and proximity to one of Africa’s major natural wonders, Victoria Falls. 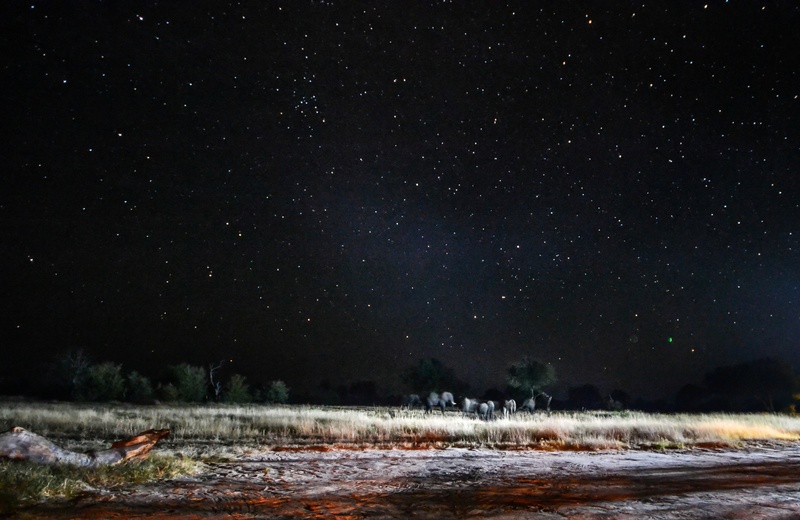 Nehimba Lodge - Nestled deep within the remote northern reaches of the Hwange National Park, Nehimba Lodge is a excellent spot for game viewing including a wide variety of wildlife and large number of elephants, especially in the dry season. Combining luxury living with elegance and African charm, the Nehimba Lodge is designed to connect you with the most exceptional and unique game and wildlife experience. Home to a swimming pool and 7 individual raised thatched tents including a Honeymoon suite and 2 family suites, this lodge is an ideal base camp to explore the Nehimba Pan. Each thatched tent has well appointed large and airy rooms, a private balcony, en-suite bathroom, outdoor shower, hot running water and electricity by generator. 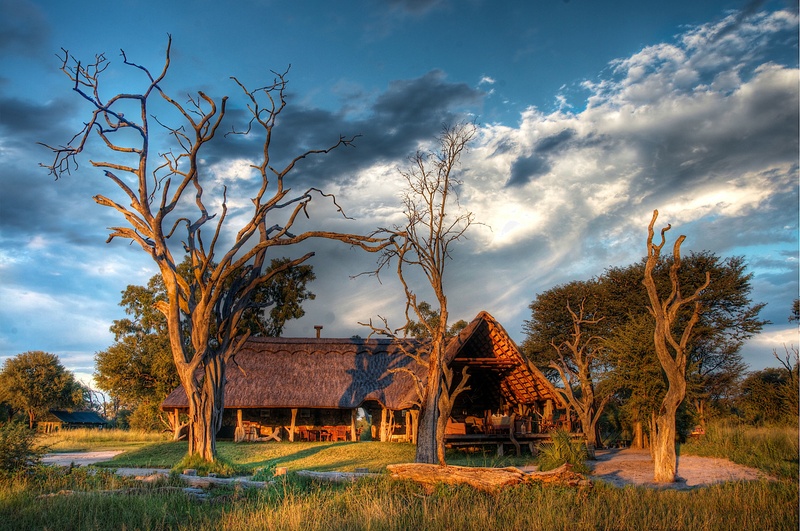 Jozibanini Camp - Located in a wilderness tucked within the remote southwest corner of the Hwange National park, the Jozibanini Camp offers a one of a kind experience as it’s location has not been used in 20 years other than park rangers and wildlife. The semi desert environment, similar to the Kalahari in neighboring Botswana, is home to windblown fossil sand dunes and pristine wildlife allowing for total seclusion and immersion into your surroundings. Enjoy the day long ‘pump run’, resupplying waterholes en route to the camp or partake in a unique mountain bike safari, this as far from the beaten path as it gets. The 'Pump Run' showcases the intricate pump system that was developed over 70 years ago and is still being implemented today to keep the wildlife hydrated during the dry season. With three tents on raised wooden decks nestled under Shepherds Bush and Camelthron trees and open-topped verandas wide enough to take your bed out under the stars, the Jozibanini Camp will connect you with the bush like no other. Our Adventures In & Over Zimbabwe itinerary is a prime example of how you could incorporate these stunning properties on a trip to Zimbabwe. Enjoy pristine game viewing at the Nehimba Lodge for a few days before connecting with local villages in Bomani. From there head to Jozibanini Camp via the Pump Run to experience the underground blind and remote game walking and mountain biking safaris and continue to Zambezi Sands River Camp for canoeing, aerial views over Hwange and the grand finale of Victoria Falls. All our Zimbabwe Safari trips can be customized to match your specific travel priorities and dates, Ask one of our Africa Specialists for more information.